Work for Azure Cosmos DB? Learning about Azure Cosmos DB? "Document DB - A mixed strength of both NoSQL and relational solutions"
2. DocumentDB queries are much more limited than SQL queries. Application which is used for staffing and recruitment. In our application we track the order audit details in doc db for easy accessibility. "While scalability, price and "every field index" is attractive cosmos db has some problems"
Not really implementing all features of mongo api, at least not by default. for example, for cursor support you need to open a support ticket, for aggregations, you need to turn on a UI flag, etc. Some Docs , including lib docs, are old and misleading. "The best cloud database for worldwide coverage"
Cosmos has simplified much of the DevOps concerns for our geo-distributed applications. It takes care of keeping data in sync across regions, invisible fail-over, etc. Some have found the learning curve heavy due to Cosmos' support for mixed schemas (relational, graph, document). Press through initial learning curve, particularly if devs are only familiar with relational systems. Flawless data storage and retrieval for our world-wide, high-availability applications. Our total cost for achieving high-availability is much lower relative to other options. "Cloud based NoSQL offering by microsoft based on mongoDB and integrated very well with Azure"
Security is very good. DB is protected from almost all type of attacks like DDOS, Illegal access, man in the middle. Encryption is top notch, Compliance with various regulatory authorities and governing bodies. Performance is also very good. Geographically distributed and replicated hence it offers low latency. The user can pay for access hence storage is almost free. Audit and security reports are easy to generate. Fine-grained access is also available. Cost is a bit on the higher side. Not fully flexible like other opensource offerings like Cassandra, MongoDB. Requires steep learning curve if you are not familiar with Microsoft stack. If you are an existing customer/partner of Microsoft and you or your team is familiar with Azure Cloud offering then is a good upgrade. Backend storage for web applications built on MEAN stack and MVC architecture. "Good Value but somewhat combersome"
Azure has done a great job at abstracting away the tedious db management. The ability to quickly spin up additional environments for testing and spin down as needed is pretty seamless. Modifications and customizations at the base level are hard to accomplish, administrative rights are (can be) IP locked. Using the platform itself is difficult. If you're a centralized shop or you have a db management need that you don't want to take on in house, this is a great solution. This is a great db repository that is is quickly set up and easily used for quick storage. We used this for our software development environment as a quick and local repository for dev efforts without having to fully commit to our own infrastructure. We do not currently have an instance created. "Scalable and High performance document database"
DocumentDB is designed to linearly scale and meet the requirements of your application. Try this its a great distributed database and is best as compared to other available in market. We are storing all project related documentation like Requirement, Understanding, Unit and System test case document. "Great Cloud Solution for nonSQL DB"
Even though it is very similar to MongoDB, the implementation is not quite the same, and you must read Microsoft's documentation regarding some of their features. Other than that, this product is cheaper compared to its MongoDB counterpart, also offered through Microsoft Azure. 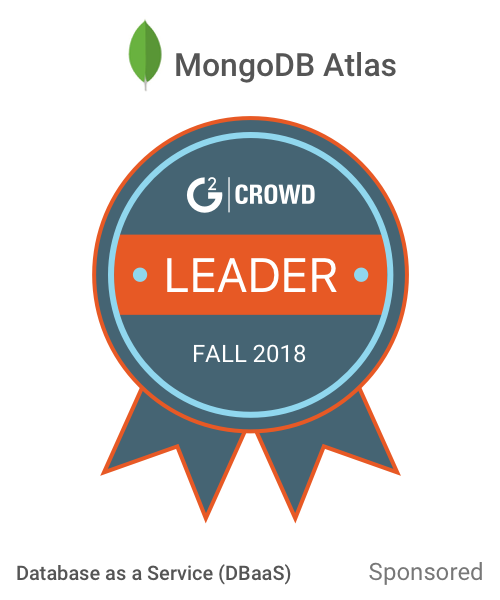 Invest in making the switch ASAP if you're using any Mongo DBaaS. It is as reliable as MongoLab or any other Mongo instance that you could be running (as a service) but it is substantially cheaper. I'm storing and loading my client's information to and from the database. Databases are basically essential for any business that needs to remember users, statistics, and other miscellaneous data. "Excelent for JSON based data"
I liked the performance and simplicity on using it. When dealing with Json data, I often find it easier to just store it "as is", and by JSON data I can also be meaing POCOs... The broad of APIs available make it very easy to work with for pretty much everybody. I really can't say that I dislike anything... I haven't yet had the time to experience it to find any serious flaws. It provides a simple and easy way, to work with json based documents (or any kind of structure/dialect compatible) without needing to run your own server or having to rely on on-premises infrastructure. Due to the limitations of your Azure plan, it is possible that CosmosDB will not let you aggregate over larger records. I faced this issue ( probably because of my plan). "Yet another great product from Azure"
We were wanting to get into the JSON based NoSQL database world. Machine data thrives in this sort of data environment. We already use Azure for other services so we looked at DocumentDB and were happy with the results. Scaling and changing the consistency mode is very easy. I'm very happy with this product. I was more familiar with MongoDB. DocumentDB does a few things differently. It takes some getting used to, but I still feel like it's worth it. Review the tutorials and documentation. The Azure team at Microsoft has done a great job at providing resources to learn. To those new to the NoSQL world, sometimes it can seem overwhelming. Just make sure you're exposing yourself enough and have an open mind. We had machine data that needed to get logged in an efficient manner. There's so much data that we did not want to mess with storing all that data locally. We turned to Azure DocumentDB and we are happy with the results. "Multi model Database Serivces for low latency and massively scalable applications." Database tier is a crucial component of financial applications. Modern financial perform graphical processing on mobile and desktop console clients but rely on the cloud to deliver customized and personalized content like application for API development integration, and high-score leaderboards for the application. Having some flaws where we cant iterate a result set returned by CosmosDB's and MongoDB API. The default size of the first batch returned by a Mongo query is 101 if I remove the $in part of the query, and I am getting an issue with insights of the data. Access to users around the world with the high-availability and low-latency capabilities which are built into Microsoft’s global data centers.Web and mobile applications, and are well suited for modeling social interactions, integrating with third-party services, and for building rich personalized experiences. Able to collaborate with other users via the cloud -- can work simultaneously on the same project. Still learning how to use the system and find features. Able to share large amounts on data and access easily. Also, can work on projects no matter where we are in the world. "Formidable in NoSQL scalable Cloud DB"
The options for scalability are good. The Cost, as in we had a very small dataset hosted on cosmos DB but still, it incurred substantial cost for just keeping the service on the cloud and not deleting despite it not running. "The best No-Sql Database on the cloud"
Cosmos DB, formally none as DocumentDB supports document, table, and graph data. There is no Document Database on the market that compete with the features offered. Makes it easy to migrate from MongoDB. No guidance for newcomers or beginners. "Pretty good product and great service!" Not too much about Azure DocumentDB as I normally only use this system for the simpler tools and have not have trouble navigating or finding what I need to do. 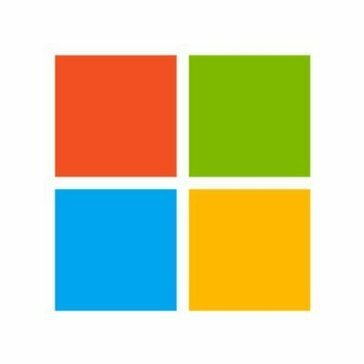 Make sure to get a little training but always watch a few of the Microsoft tutorials as they are helpful and to the point. Able to work with more Hospital clients because of the HIPPA compliance. Performance is too good as it read & write the data very fast. Its very good for modern mobile and web applications. User can perform complex ad-hoc queries with ease. Its very reliable. It has limited scope for aggregates, no ordering and limited tooling as well. Complex ad hoc queries are simple to perorm. It automatically indexes all the documents in the database. Very reliable consistency levels. "Powerful cloud based storage for Web Apps"
Tool pricing is higher than the other data base solutions but the support provided by MS is good. At this point at don't really dislike any of its features. Evaluate its features to make sure it meets their needs. The ability to store data without a predefined schema. Azure provides the most flexible and comprehensive data sharing especially if you are working at a global scale. The pricing is very competitive. Storage is not a issue since it offers user to pay to access. Limited in the amount of options in language you have compared to other competitors. There is a learning curve when first using it. Audit issues are solved rather easily. Issue with staffing are resolved. Seems to promise the world. Multiple models of consistency supported, extremely rich feature set. High consistency and availability, horizontal scale, and minimal management hassle. Natively runs on the cloud. "Good database storage for enterprise use"
APIs were very easy to use and documentation is really good. The support staff is very helpful and usually resolves issues super quickly. The web interface is a bit janky and confusing to use. Some basic settings require the user to go deep into multiple levels just to toggle. Used the SQL API with Node.JS for storing configuration and asset data. "Great NoSql document database from Microsoft Family"
on premise integration is what I would like to see from Microsoft,Just like others(Mongo etc). Microsoft promised sooner it will be available.So waiting. Great software . Great stack. Definitely should give a try. Quick to get started,great features. Good documentation and community support. Elastic scaling over across multiple regions. Its not a real dislike, but the effort for a business to transition to a new system might be little overwhelming. "Powerful, flexible database for engineering applications"
"Easy and powerful NoSQL Database"
1. Cost of using Azure DocumentDB is high as compared to other NoSQL databases. Recently switched from SQL database to Azure DocumentDB and gained huge performance boost in Auditing application. * We monitor all Azure Cosmos DB reviews to prevent fraudulent reviews and keep review quality high. We do not post reviews by company employees or direct competitors. Validated reviews require the user to submit a screenshot of the product containing their user ID, in order to verify a user is an actual user of the product. Hi there! Are you looking to implement a solution like Azure Cosmos DB?